What if your church had more volunteers than you knew what to do with? Sound far-fetched? It doesn't have to be. Now consultant, pastor, and author Nelson Searcy unveils his secret to doubling your volunteer base in as little as one day. Yes, you read that right. This step-by-step guide shows church leaders how to create a culture that attracts, keeps, and grows volunteers. 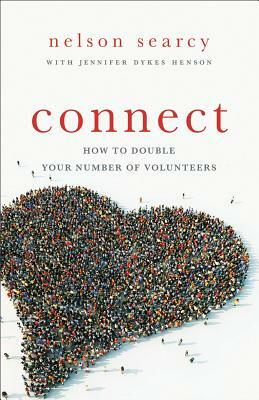 Taking a comprehensive approach to the often frustrating issue of finding and retaining volunteers, Connect gives leaders the practical insight and tools they need to effectively involve people in serving the local church. It details how to help people see the importance of serving, how to continually raise up new volunteers, how to really delegate, and even how to "fire" a volunteer. Every church leader who has struggled with getting and keeping people active in the church (and that's all of them) will love the practical, workable strategies found here. Nelson Searcy is the founding and lead pastor of The Journey Church. Started in 2002 in New York City, this groundbreaking church sees the majority of its growth coming from new believers and currently meets in locations in Manhattan, Queens, and Staten Island, as well as additional locations in San Francisco and Boca Raton. Nelson is the recipient of the prestigious 2013 Donald A. McGavran Award for Outstanding Leadership in Great Commission Research. He is the author of more than seventy-five church growth resources and twelve books, including The Generosity Ladder, Maximize, Connect, and Ignite. Nelson is also an experienced church planter, coach, and church-growth strategist. Before to founding The Journey, he served as the director of the Purpose Driven Community at Saddleback Church. He is also the founder of ChurchLeaderInsights.com and the Renegade Pastors Network. Jennifer Dykes Henson is a writer, wife, and mom to two young girls. She has coauthored several bestselling books, including The Generosity Ladder and Tongue Pierced. Previously, Jennifer worked with Dr. Charles Stanley as the marketing communications manager for In Touch Ministries. She lives with her family in Atlanta, Georgia.